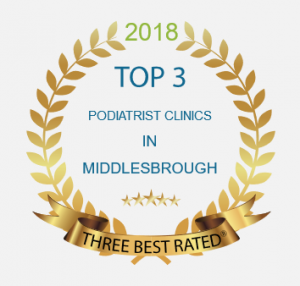 Verrucae are probably amongst the most common foot infection amongst children and young adults, along with athletes foot, however, they are notoriously difficult to treat. There's a whole range of products on the market, and an even greater list of 'complementary therapies' which can be discovered if you give the internet some stick. So - what are the truths, and what are the myths about verrucas? How contagious are they really? As a youth, I was a keen judo player, and trained twice a week from the age of 9, and well into my early 20's. Along with training, I also coached children, so on a typical session, I ran the risk of coming into contact with upto 100 pairs of feet, either by direct contact (having my foot stood on), or by secondary contact (standing on a judo mat where someone else has already stood). That's roughly 200 chances of contact a week! Now, not everyone who participates in judo has a verruca! But If you have one person with a verruca (uncovered / exposed), it should spread like wild-fire. In my entire judo career, I think I only ever had 2 verrucas. An intact-skin will give you a reasonable protection from many infections, so if you have a graze or cut on your foot, keep it covered! So - What's all the hype about? The main problem with verruca's, is they are very stubborn, and can take months, if not years to get rid of. There is no one solution which guarantees a cure, and there are many factors which will affect the speed of treatment. As the verruca is caused by a virus, the main aim of most treatments (the ones I'll be discussing here) is to contain the virus to the area of infection (i.e. the verruca), and cause trauma by what-ever means, resulting in the immune system to send in the white blood cells to attack and clean up the area (in a nut shell) - ridding the virus. The virus also travels through the blood stream, but once the immune system has destroyed / fought off the virus, it will create anti-bodies to prevent that particular strain of virus becoming active again - a little bit like self-vaccination against future attacks. What factors influence the effectiveness of the treatments? As you are relying on your own immune system to fight off the virus, the stronger your immune system is, the better your chances are of killing the virus. In general, younger people have stronger immune systems, which is why they tend to get rid of verrucas quicker than adults. They also contract them more frequently, as they tend to spend more time bare foot at swimming baths, changing rooms, judo, karate, gymnastics, etc. If you have an on-going illness, and are taking immune suppressing medication, such as steroids, this will also reduce your ability to fight them off, and leaves you at a higher risk to contract them if not already infected. Another influencing factor (a big one) is the frequency you treat the verruca. The more often you apply a treatment and cause trauma, the more often your immune system will respond. If you decide to stop treating your verruca for a few weeks, you are giving the virus time to re-group, and start spreading again. So what treatments are there? And which ones work best? Most over-the-counter treatments are based on salicylic acid - which will vary in strength, depending on the product. For these to be most effective, the verruca needs to be filed / reduced down first, to remove any dead skin from the surface. The more dead skin removed from the surface of the verruca, the better, as this improves the treatment getting deeper into the infected area. Having said that, if you are treating at home, using a good file is the best method to remove the top layer, but if you make the skin sore, ensure you give it a day to recover (keeping it covered) before applying an acid based solution, otherwise you might find it quite painful. The other over-the-counter treatments work on freezing the verruca to kill the cells and then allowing the immune system to kick into action. In my clinics I use silver nitrate which is corrosive and destroys skin cells. The advantage of silver nitrate is it does not sting, and therefore can be applied to a verruca which has been heavily reduced, and can even be applied if the verruca has been bleeding. It leaves the applied area looking black, and needs to be removed professionally, but this helps remove more of the traumatised skin, and infected cells. If you search the internet you will come across many different methods of treating verrucas, from duct tape, cider vinegar, banana peel, lemon juice, etc, through to acupuncture, and even hypnosis! With most of the therapies where something is applied to the skin, it normally contains either a mild form of natural acid or enzyme which causes trauma to the skin, and , guess what, kick the immune system to respond. With duct tape (or silver gaffer tape), the theory is a combination of preventing the skin from breathing where the tape is applied, with a possible combination of an effect of the adhesive glue on the tape, both causing trauma. When the tape is removed, and dead skin cells will either come away with the tape, or be easily removed with a file. Acupuncture uses a technique calls 'Surround The Dragon' where fine needles are placed around the verruca. From a Western perspective, this will be causing micro breaks in the skin, reducing blood flow to the affected area, and causing trauma. I'm confident a TCM trained acupuncturist will be able to give a Chinese Medicine perspective on the implications of this technique. I've had a few people tell me they've read about tea tree oil being a good treatment for verrucas. Tea tree oil has strong anti-fungal properties, and is very good for using for athletes foot and fungal nail infections. However, as the verruca is caused by a virus, and not a fungal infection, the natural powers of tea tree oil will not be of benefit. As an oil which may soften the skin to help remove the dead cells, it may have some use, but no more than any other type of oil or moisuriser. Also, for the most potent tea tree oil, it should have been harvested from Australia. My first recommendation is to have your foot checked either by a Podiatrist / Chiropodist, or visit your doctor. Once it has been identified as a verruca, ask the consultant what they recommend. My best advise, which ever treatment you select, is to keep up the treatment regime, with a good reduction of the verruca each time. The more you treat it, the more chances there are to get rid of it. Give each method at least a month, and if you don't see any improvement, try a different treatment. If you have a bad reaction to a treatment, stop straight away and seek professional advice. Top Tips if you have a Verruca. While you have a verruca, keep it covered at all times, as this will reduce the chances of passing it on to someone else. A waterproof plaster / band-aid is perfect. Ideally, wear flip-flops or plastic sandals in communal changing rooms and showers. This prevents the soles of your feet coming into contact with the ground, reducing the risk of further re-infection, or contracting athletes foot. Maintain your treatment regime, and don't leave gaps between treatments. Monitor your verruca, and visit your gp / podiatrist if it changes in size (gets bigger), colour (red / black or swollen) or suddenly becomes very painful. If you've had any success stories with a particular treatment, please feel to contact me, or leave them as comments for others to read.